It is interesting to see that even in such basic “art form” as that of smileys, the Japanese have evolved their own distinctive style. 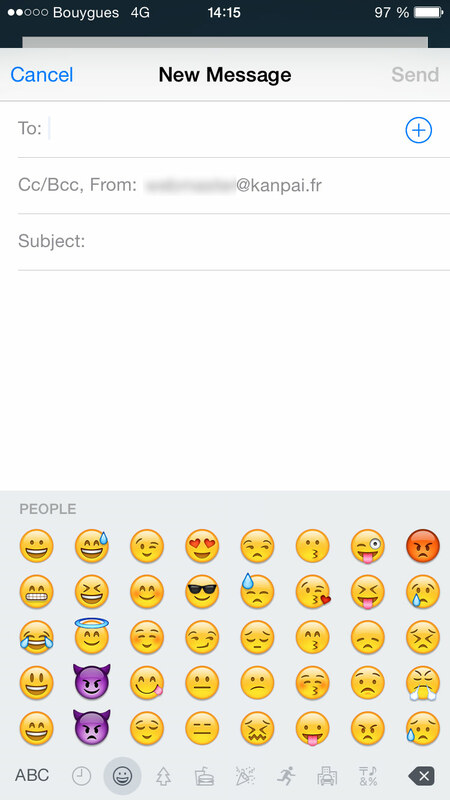 In addition to side-facing emoticons such as :-) or ;-p , they have developed front-facing ones like ^_^; and °o°/. Even though most users will hardly notice the difference, the latter have opened the way to a far broader field of possibilities: emoji, the Japanese smileys. They have been enormously successful ever since the beginnings of the Internet and have recently reached a new climax and received the highest honors: during the official visit of Prime Minister Shinzo Abe to the United States in late April 2015, Barack Obama actually expanded his thanks to Japan for “Karate and karaoke. Manga and anime. And of course emojis.” This is a sign of how much part of global culture they have become while also spreading Japanese soft power. Japanese emoticons allegedly appeared at the end of the 1990’s at the initiative of Docomo, one of the three major Japanese telephone operators. Although they initially used a panel of only 12 pixels, they nevertheless rapidly developed along several patterns and styles. Since Japan has mostly favored email over text messages since the early days of mobile phones, the number of characters has never been an issue. 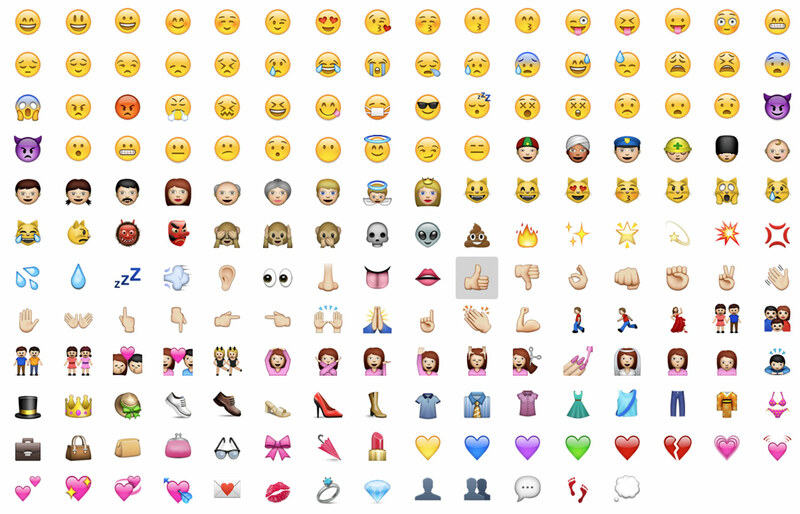 There is a clear distinction to be drawn between different styles of emoji. 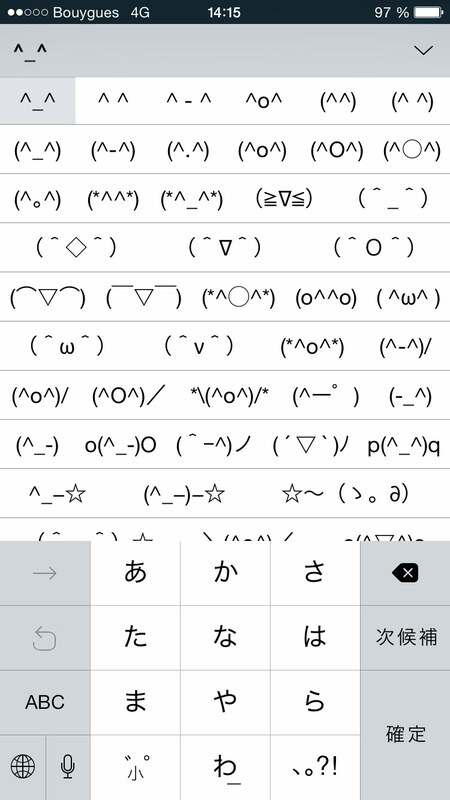 Simply using a Japanese keyboard on your smartphone will give you access to dozens of them. Just activate the Japanese language option in your keyboard settings. Emoji, with their more graphical, modern design, also exist in a wide variety of pictograms. They became integrated into the Unicode standard by the hundred in 2010 and have since colonized Apple devices (iPhone, iPad and the recent Apple watch), android smartphones, are now native to Windows and Mac OS and have flooded social networks. They appear such as featured in the image at the top of this article. Down the line, they are turned into virtual stickers, initially launched by Line, and have been yielding considerable profits for years; they are actually considered by some as an authentic business model. Finally, we are often asked about the equivalent of LOL in Japan. The Japanese, in fact, hardly use our version, but use local ones instead. or "wwwww", derived from the first.